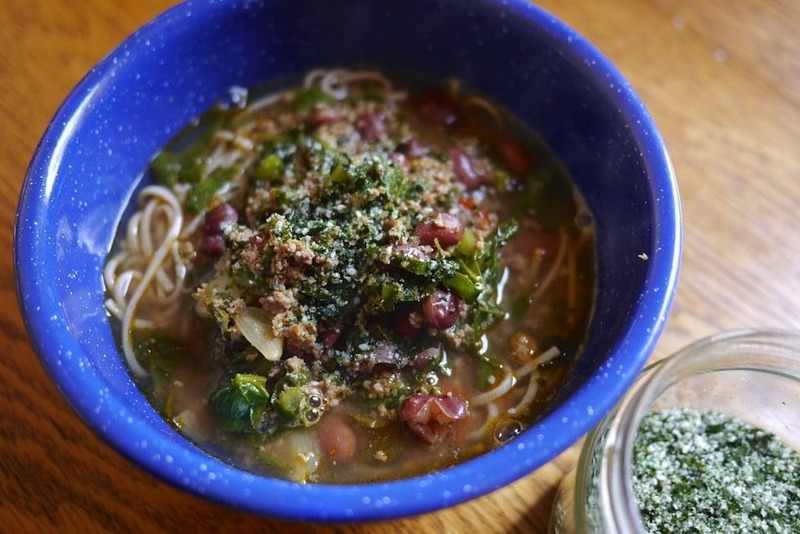 Eat your foraged greens, wherever they may be. Anyone for a seaside sandwich? 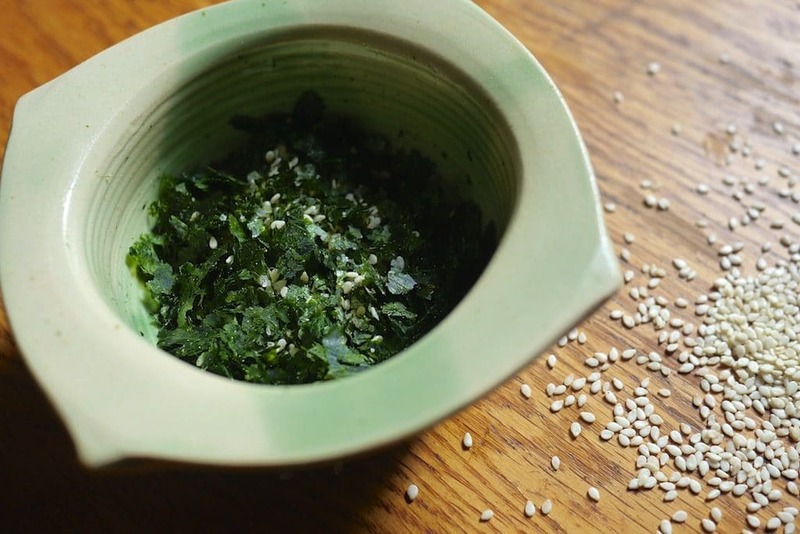 Sea lettuce is easy to find and forage, and it’s packed with goodness. 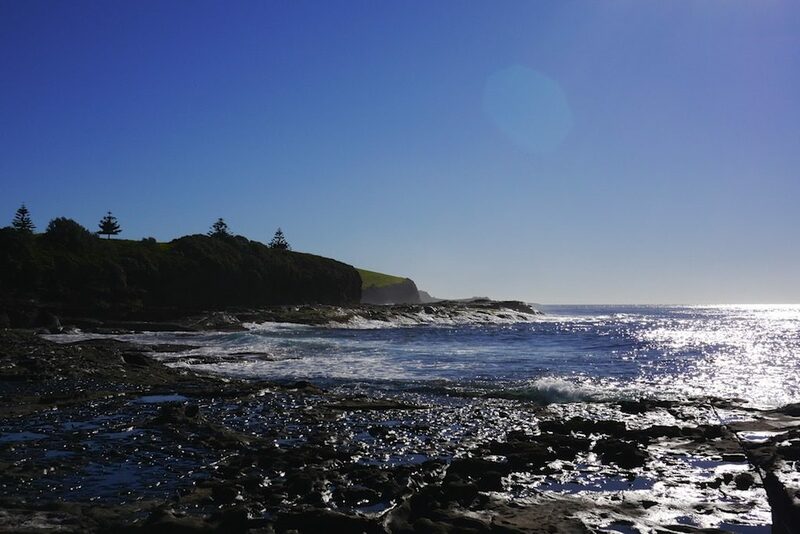 In NSW (the regulations in other states vary slightly), sea lettuce is the one and only seaweed that normal folks may forage and harvest in it’s live form, straight off the rocks. The rest of our seaweeds may only be foraged as beach-cast seaweeds, if at all. 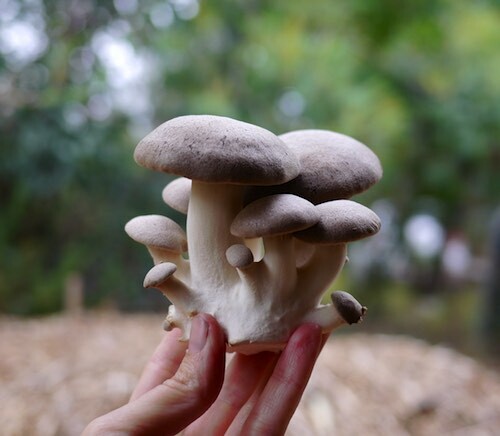 There’s still lots of tasty things you can do with those, as we’ve talked about previously. 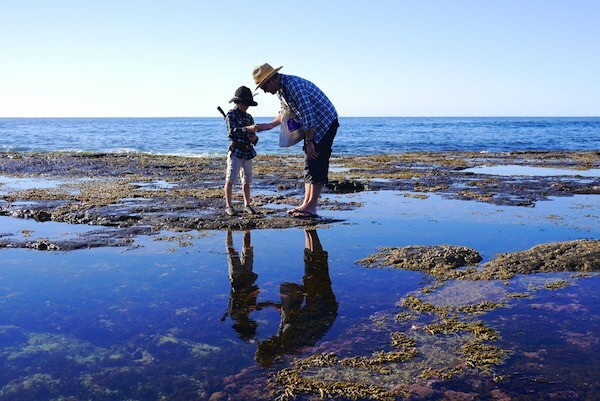 But sea lettuce is the only seaweed that you can go down to the rocks to search for, harvest carefully with a small knife, and fill a small basket to take home for eating. This is probably because sea lettuce is a favoured bait of fishermen, when fishing for Blackfish (Luderick) – and so it is seen in a slightly different light (ie ‘useful’) from our other seaweeds. Or it might be because the fishermen would just harvest it anyway, so better make it legal to do so. Who knows. Sea lettuce (Ulva lactuca) is a green algae that’s found clinging to rocks in the inter-tidal zone, between the high and low tide mark. 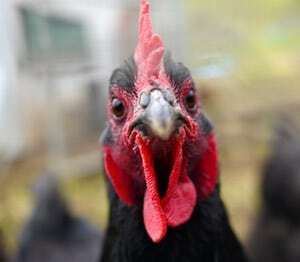 There’s quite a few varieties worldwide but they all look largely similar, and like lettuce. There is a longer, leafier version called Ulva Intestinalis (gutweed) which is also super tasty. You’ll find sea lettuce on rocks and rockshelves in areas that are covered and then uncovered by the tides each day. Low tide is the safest time to harvest. You can harvest sea lettuce with the help of a sharp knife, taking care not to damage the holdfast that attaches it to the rock – this way, the Ulva will quickly re-grow and your impact will be minimal. 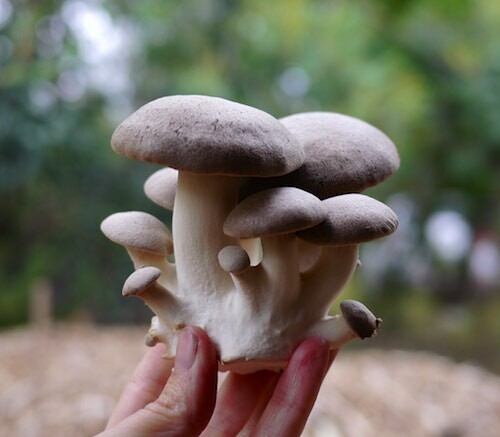 As with all foraging, take little here and a little there, not too much from any one place. 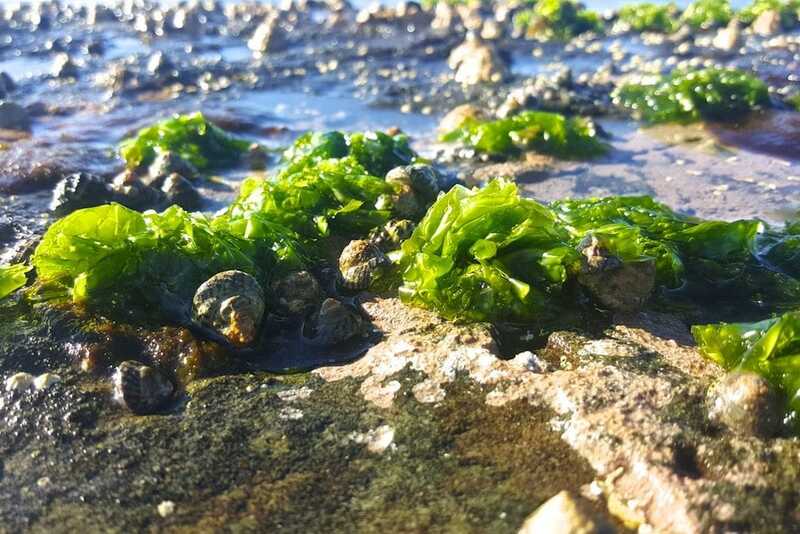 Also a note (this applies to all seaweeds, but to Sea Lettuce particularly) that sea lettuce grows extra well in water with high nutrient loadings – say near ocean outfalls, or at river mouths near densely populated cities or broad-acre agricultural areas. 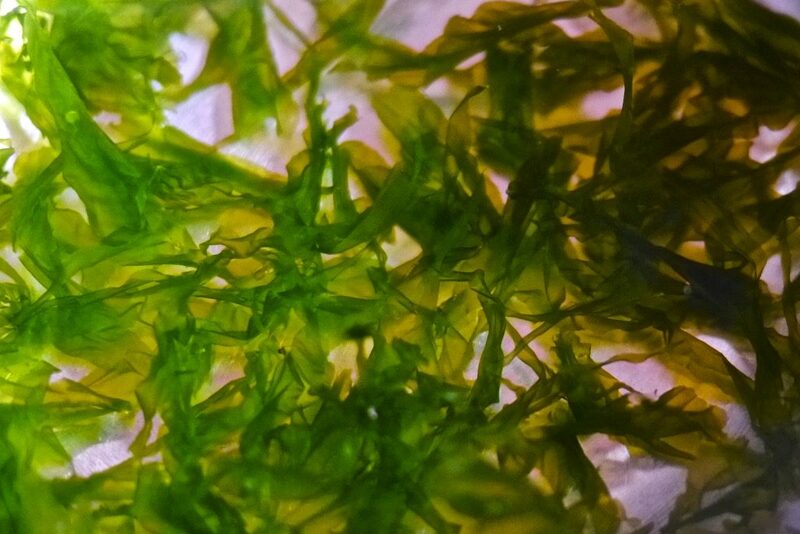 Sea lettuce also grows well in clean water too, but do be aware and check what’s nearby before you go foraging. Also check your local regulations about harvesting it. 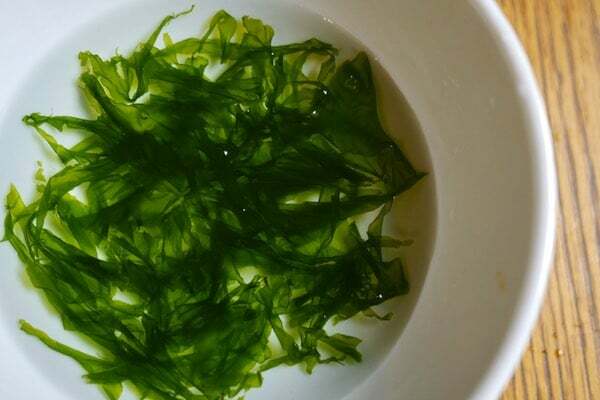 Once you get your sea lettuce home, give it a good wash in a couple of rounds of fresh water to remover any sand or tiny critters from within it’s fronds. Firstly, we washed the sea lettuce in a couple of batches of fresh water to remove any sand, and patted it dry. 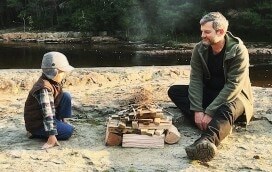 Then we spread it out on a tray, and dried it slowly in the bottom of our woodstove. You could also use a normal oven on it’s lowest setting, or a sunny spot. It doesn’t take longer than a few hours. 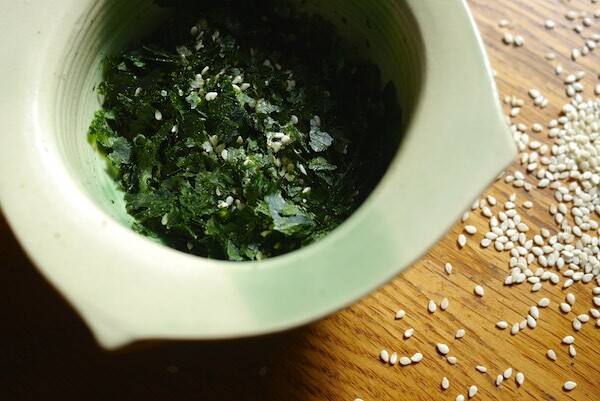 Once the sea lettuce was dry, we added sesame seeds and some of our best salt, that had come to us straight from a salt lake. We whizzed it all up in a little blender (you could also use a mortar and pestle for this part) and jarred it up for future eating. This Sea sesame salt goes well on just about everything, even left over beans with noodles and weeds for a quick lunch while writing this artcile, as seen above. 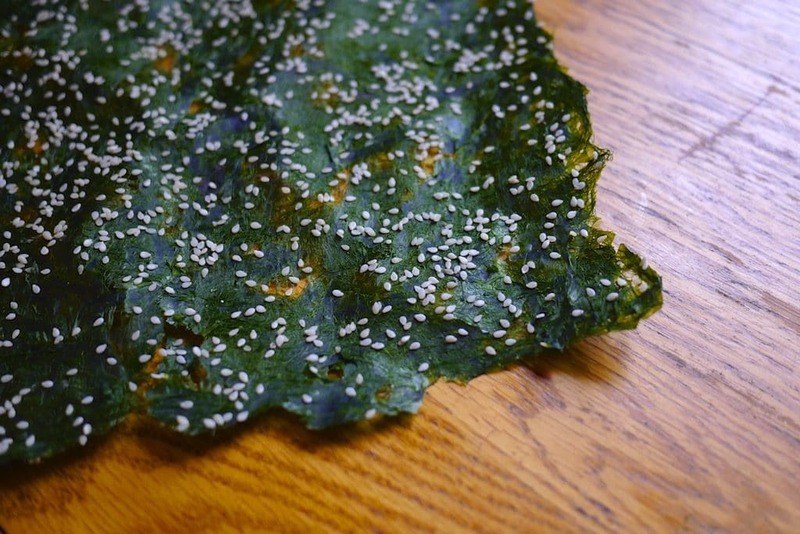 While sea lettuce is quite a different seaweed to Porphyra, which is the seaweed used to make nori in Japan, Korea + China, i thought I’d give this a go to emulate the same thing, just for fun. And no surprise, it’s delicious. 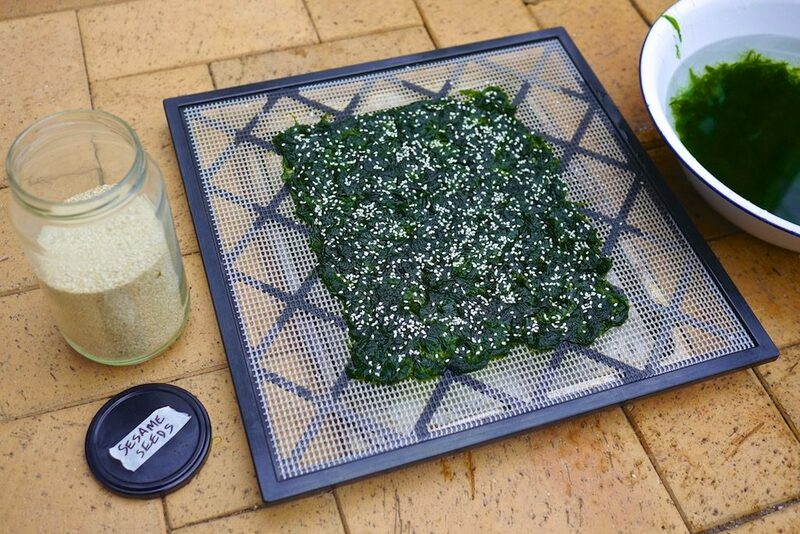 Basically I spread out washed sea lettuce on a dehydrator tray, sprinkled it with sesame seeds, and left to dry in the sun for a day or two. It tasted sweet and nutty, like sea lettuce with (wait for it) seasame. Could be improved by sprinkling on some tamari before drying, I think. Given how much you need to make a single sheet, this isn’t a practical local DIY solution for sushi roll lovers. 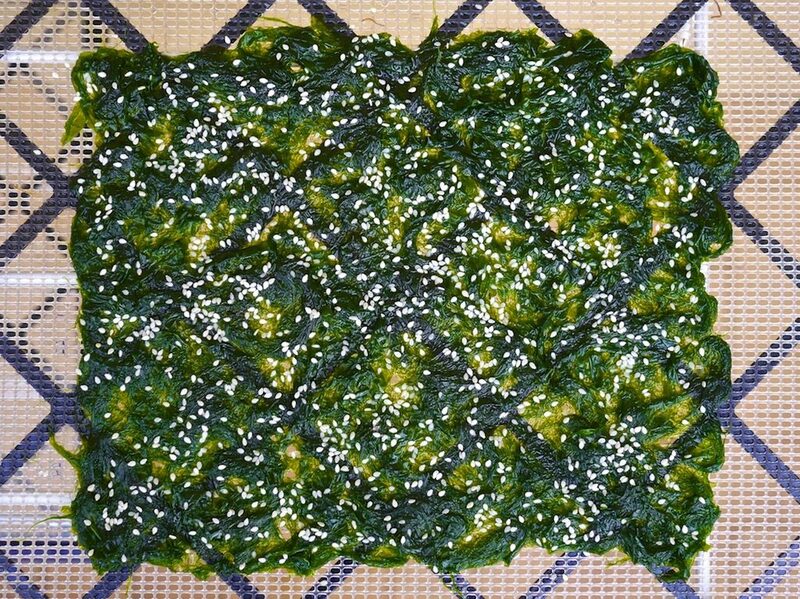 However, there’s a similar thing from Laos called Kaipen, using river weed to make sheets of crispy, super tasty snacks. So my aim is to make a local version of Kaipen with sea lettuce. As with any foraging, part of the point of gathering and eating sea lettuce is to engage with where you live, or where you are today. 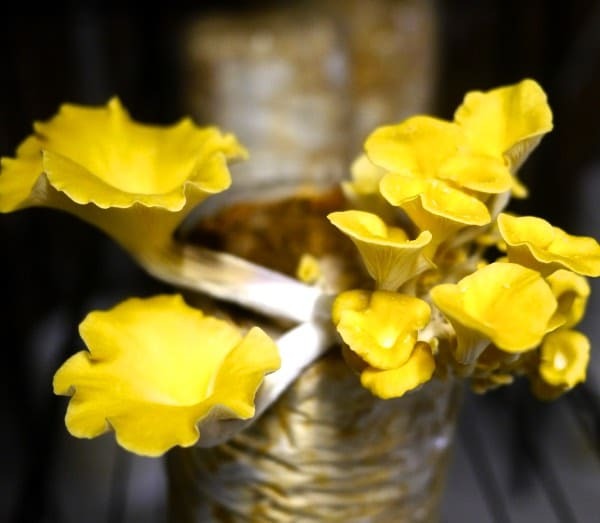 It’s as much about the observation, the looking and listening and learning within an ecosystem, of considering limits, and appreciating what grows, as well as the end result. So tread lightly, gather mindfully, and enjoy. 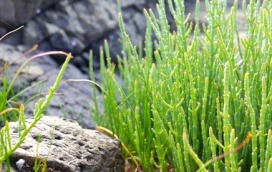 If you live near the coast, seaweed can be a fantastic resource t . .
Discovering new edible plants in unexpected places is fast becom . . I can't think of a better way to spend an evening - a rushing st . .